The Afghan air force is losing about 15 percent of its aircraft after the Air Force opted not to renew a contract for refurbished C-27A cargo aircraft. The Wall Street Journal first reported on Friday that the Air Force has decided to let the contract with Alenia Aermacchi North America expire in March because the company has not provided enough flyable planes. The planes were grounded for several months in 2012 due to lack of spare parts, and flight operations will be suspended altogether. 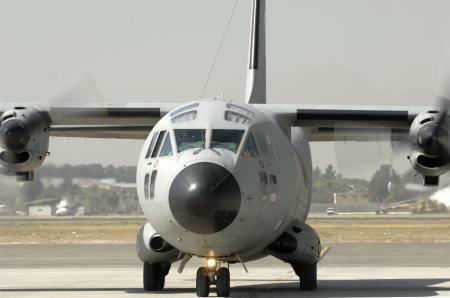 Currently, the Afghan air force has 108 aircraft, of which 16 are C-27A cargo planes. So far, the Air Force has spent $549 million on the aircraft, said Air Force spokesman Ed Gulick, who confirmed the service is not renewing the contract with Alenia Aermacchi. NATO and the Air Force will suspend flight operations at a “yet to be determined date” and then decide what to do with the aircraft, Gulick said in an email. “There is a need for medium airlift capability with the AAF and they are in talks with Department of Defense officials on what that will be, but it is too early to discuss,” he said. Air Force Brig Gen. Steven Shepro, in charge of NATO Air Training Command Afghanistan, recently told Air Force Times that the Afghans have more aircraft than aircrews.